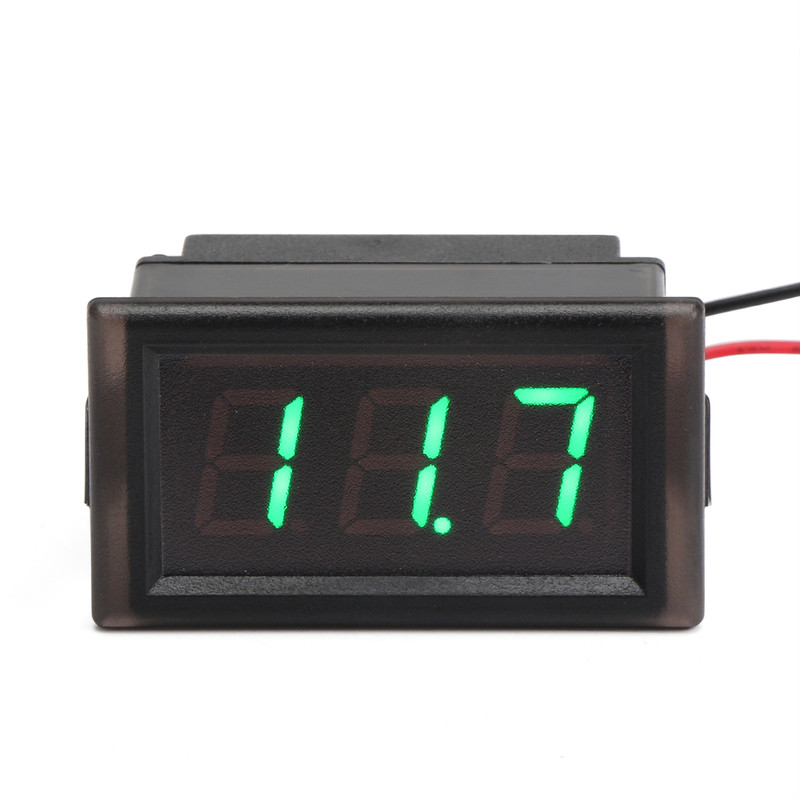 It is a Digital Voltmeter/Voltage Tester/Waterproof Volt Monitor Meter , Operating Voltage: DC3.5~150V, Display: 0.52" LED green, It has small size, high efficiency, long term stable and reliable quality,easy installation and use. Applications: suitable for most of electrical bike, motor and etc, will be a good tool to detect voltage. Easy and convenient installation: two wires, just connect the red wire to the positive and connect the black wire to the negative. Built in trimmer potentiometer, it is simple to do a calibration work. Reverse connection protection, no worry it will burn your meter when get it connected reversely. Wide application: suitable for most of electrical bike, motor and etc, will be a good tool to detect voltage.